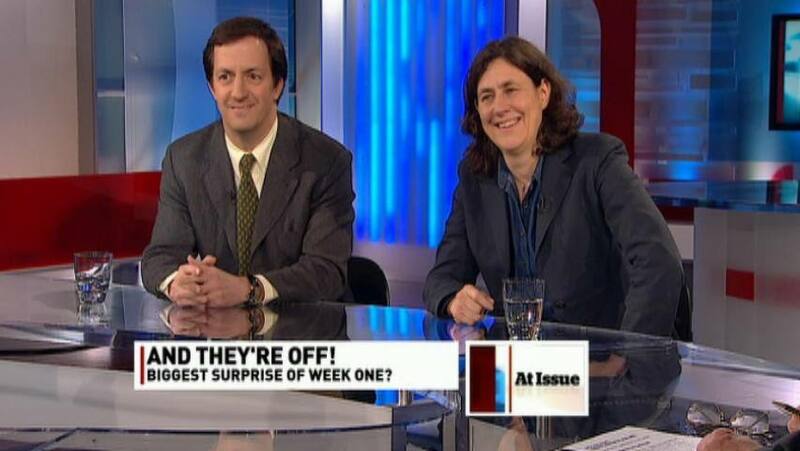 Andrew Coyne and Chantal Hébert. For Canadian federal politics 2015 is bound to be a crucial year. And two recent comment pieces by Andrew Coyne and Chantal Hébert make for rather ominous reading, as the start of the year comes into clear view. 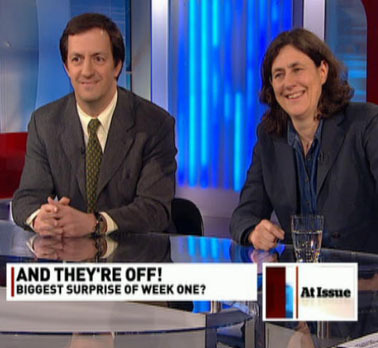 Both Mr Coyne and Ms Hébert are worrying about just what may or may not happen if — as seems likely enough on many recent opinion polls — the final result of the 2015 federal election (probably on October 19, as currently prescribed by law?) proves to be one or another form of minority government. Andrew Coyne is, with good reason, I think, most worried about the current vagueness of our Canadian political culture on the ultimate “constitutional” rules of the game for minority parliaments, so to speak. Would there have to be another fresh election right away? Or could the Governor General ask the Liberals and New Democrats if they wanted to try putting together a majority coalition that could offer some prospect of stable democratic government for at least a few years? 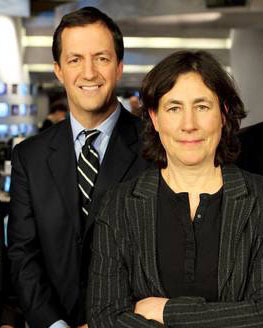 Chantal Hébert shares some of Andrew Coyne’s theoretical concerns. But she also seems on the verge of concluding that in practice it’s all a moot point. The current hostility between federal Liberals and New Democrats in Ottawa is so close to a boiling point that any kind of working coalition government between them is just a huge piece of pie in the sky. 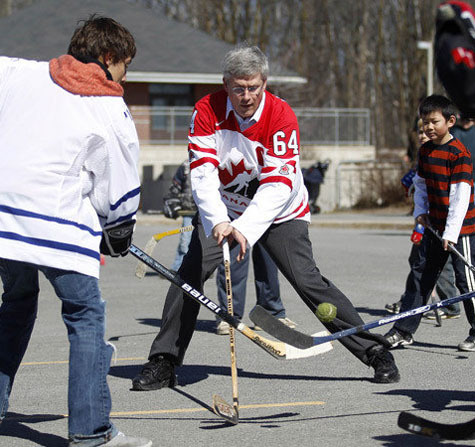 Conservative leader and current PM Stephen Harper — the strategist! The most distressing feature of Ms Hébert’s analysis here may be that it spells some almost equal doom for the prospects of a Liberal minority government under the leadership of Justin Trudeau. And on some dissections of current public opinion, this is an even more likely outcome of the 2015 vote than a Conservative minority government. “Not more communism but more public-spirited pigs” ???? So … Chantal Hébert may very well be right in her current gloomy assessments. 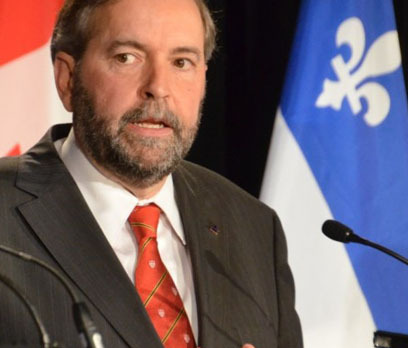 NDP leader Thomas Mulcair ... a base in Quebec at last! 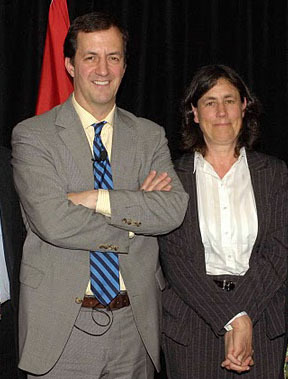 The kind of Liberal-NDP (or NDP-Liberal) co-operation that could most successfully bring an end to what has now become the long right-wing reign of Stephen Harper in Ottawa is just not very likely to happen in the current real world of Canadian federal politics. This is especially distressing because so many mere Liberal and New Democrat voters do seem to believe that some incarnation of a progressive majority coalition could provide just the kind of stable government which various doctors are prescribing for the Canadian confederation of 1867 in our time. 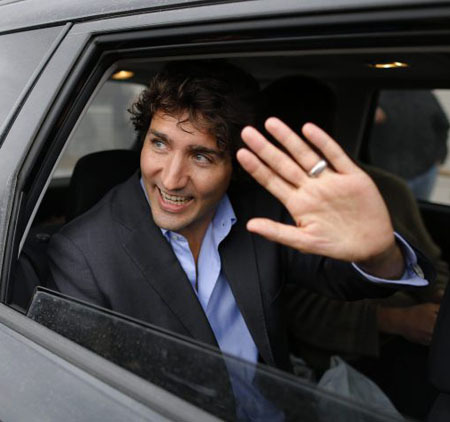 Liberal leader Justin Trudeau — the new M le Canada, and his BC mother’s son : from coast to coast to coast ?? What we need now, of course, of course, of course, are more high-minded politicians, who are more worried about the future of our remarkable country, with all its vast free and democratic potential, than they are about their own political careers. I am always impressed myself by just how many such politicians I bump into in my ordinary life. I suppose I and the many other mere voters like me can only hope and pray that enough of them get elected to the Canadian House of Commons in 2015.